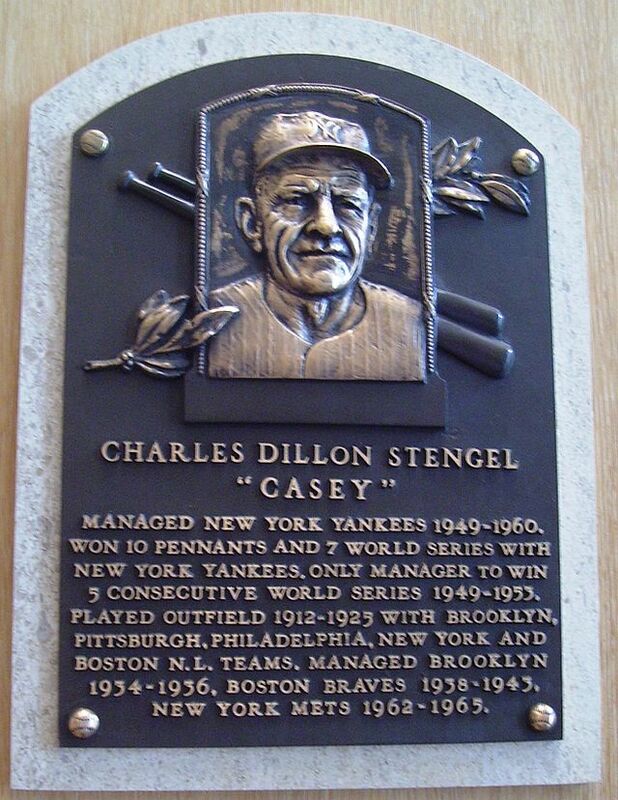 Casey Stengel won more World Series games than any manager in baseball history. When you think about it, why would you want Mickey Mantle to bunt? Even so, Casey ordered one of the game’s great power hitters to take lessons on how to tap a baseball 20 feet. Stengel also asked the Mick to cut down on his swing. Mantle just rolled his eyes. Robert Creamer writes about this in his splendid biography Stengel: His Life and Times. More successfully, Stengel converted Mantle from a shortstop into a Hall of Fame outfielder. He also converted Yogi Berra from an outfielder into a Hall of Fame catcher. Some players, and not just Mantle, never quite figured out Stengel. Joe DiMaggio, already a regal veteran, agreed with a sportswriter that Casey looked “bewildered” his first day on the job. The Ol’ Perfessor and the Yankee Clipper spent three seasons together as player and manager. There were long periods when they barely spoke to one another. Stengel’s response when a reporter asked about the situation: “So, what?” Casey just wanted DiMaggio to hit. He could find conversation elsewhere. On the mound, Casey looked for a guy like Eddie Lopat, who could throw ground ball after ground ball. Keep the ball low in the strike zone and keep it inside the park, Stengel instructed. Let ‘em hit into a double play. The plan worked. Did it ever. Casey managed the Yankees for 12 seasons. His teams went 1,149-696, a .623 winning percentage. They brought home 10 pennants and seven World Series. 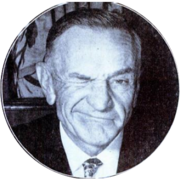 Casey is tied with Joe McCarthy, another Yankee manager, for most championships. He is tops in World Series wins with 37. How did such a seemingly flaky character like Casey even get into managing? Casey liked to have fun, but he took his baseball seriously. Casey joked around and amused fans with the hidden bird trick (See Part I), but he always played hard. The ballpark was home, and he finally decided that dentistry wasn’t for him. So, why not get into managing? He led an assortment of minor league clubs and skippered the Brooklyn Dodgers (1934-36) and Boston Braves (1938-43) in the majors. In 1948, Stengel took the Oakland Oaks to the Pacific Coast League pennant. That fall, the Yankees fired Bucky Harris, who had won a championship with the 1947 team but who had the bad luck to finish third the following season. New York needed a skipper. “I’ve got just the man for you. Stengel.” – Yankee Associate G.M. George Weiss. The Yankees introduced Stengel as manager on Oct. 12, 1949. Casey was 58 years old but looked older. He had never finished higher than fifth place (in an eight-team league) in the big leagues. Weiss, though, liked that Stengel worked so hard to help players improve. With the Oaks, Casey hit hundreds of grounders to a young second baseman named Billy Martin. Casey yelled at Martin and joked with him. He did everything he could to make Billy a better ballplayer. People didn’t expect the Yankees to do much in ’49. The Red Sox, featuring the great Ted Williams, were the favorite in the American League. 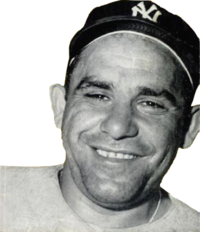 Stengel converted a young outfielder named Yogi Berra into one of the all-time great catchers. Casey nurtured his squad. He juggled outfielders and brought along Berra. The Yankees relied on timely hitting from Yogi and first baseman Tommy Henrich. An oft-injured Joe DiMaggio only got into 76 games, but the Yankee Clipper batted .346 with 14 home runs and 67 RBI. The starting rotation (Lopat, Vic Raschi, Allie Reynolds and Tommy Byrne) threw lots of grounders, much to Casey’s delight, and the Yankees won the pennant on the final day of the season. They knocked off the Brooklyn Dodgers in five games to win the World Series. What did the Yankees do for an encore? Casey’s teams beat the Phillies in 1950, the Giants in ’51, the Dodgers in ’52 and again in ’53. No team had won five straight World Series before the Yankees of 1949-53. Oddly, the first Stengel-run Yankee team to not win a championship was the ’54 squad that went 103-5. That team didn’t even win the pennant; the Indians went 111-43. No worries, though. The Yankees went back to the World Series for the next four seasons, winning in ’56 and ’58. We know Mantle didn’t take to bunting. Other than that, how did he and Casey get along? 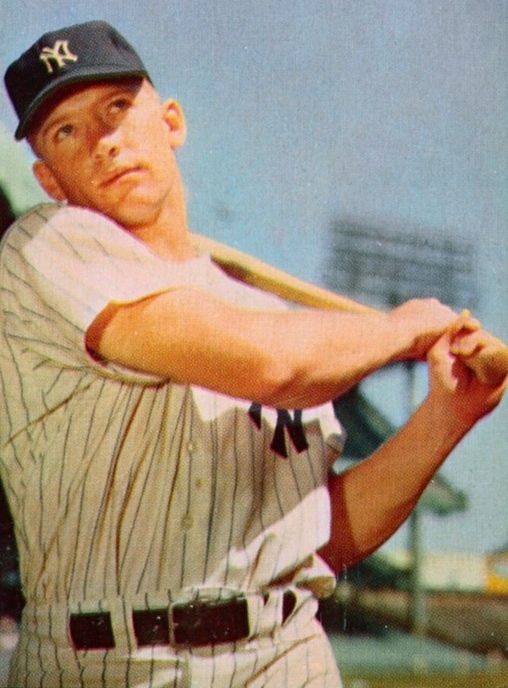 One of Stengel’s disappointments was that he could never turn Mickey Mantle into the greatest player ever. Did Casey communicate, or did he confuse? The committee also had invited Mickey Mantle to testify. Mantle spoke right after Casey. Wisely, the Mick kept it short. Casey’s ’59 Yankee team went 79-75 (.513) and finished in third place. That was his worst team by far in New York, 85 percentage points behind the second “worst” — the ’58 championship squad that went 92-62 (.597). Thanks to Roger Maris (61 home runs) and Mantle (54), the Bronx Bombers of 1960 rebounded with a 97-57 record and won the A.L. pennant. Stengel was inducted into the Hall of Fame in 1966. What happened Oct. 13, 1960, in Game 7 of the World Series? Bill Mazeroski hit a home run in the bottom of the ninth inning off the Yanks’ Ralph Terry. Maz circled the bases at Pittsburgh’s Forbes Field and greeted dozens of on-rushing fans. The Pirates won the Series despite being outscored 55-27. The Yankees held a press conference at the Savoy Hilton Hotel one week later. Casey was through as manager, and he didn’t say why. “Write anything you want. Quit, fired, whatever you please. I don’t care.” Some said New York’s Old Perfessor could not handle the workload at his age. Did Casey quit managing after his Yankee career ended? No, he took on his greatest challenge. Maybe, too, he drank a little bit more of that bourbon he loved. To calm his nerves, you see. He left the Yankees for the expansion Mets, who were awful. One great story sums up Casey’s time with New York’s new N.L. team. The story centers on “Marvelous” Marv Thornberry, the gaffe-prone Mets’ first baseman. One time, Marv hit a triple. Or, so he thought. An umpire called Thornberry out for missing third base. Casey ambled out to argue. The second-base umpire ran over and told Casey to quit complaining. Marv missed that bag, too. Casey spent four seasons with the Mets and went 175-404, a .302 winning percentage. Clunk. Casey’s Mets teams were terrible, but the ballclub retired his uniform number anyway. Casey managed 10 pennant winners with the Yankees and seven World Series champions. 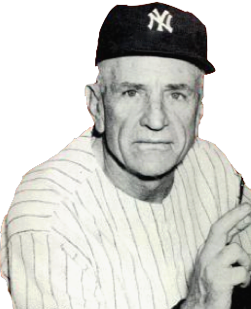 Casey Stengel, “The Old Perfessor” to some, led the New York Yankees to 10 pennants and seven World championships as manager. He liked platoons, ground ball pitchers and a drink or two. He hated that he could never turn Mickey Mantle into the greatest player ever. He said stuff like, “Well, I’ve made up my mind, but I’ve made it up both ways.” The Senate Subcommittee on Antitrust and Monopoly loved him (more on that in Part II). Why did people call him “Casey”? Charles Dillon Stengel, born July 30, 1890, hailed from Kansas City (K.C. ), Mo. Teammates ditched the nickname “K.C” for “Casey” as a nod to the popular poem “Casey at the Bat.” Stengel starred in basketball and baseball at Central High School. He played fullback on the football team. The Kansas City Blues, a minor-league baseball team, signed him in 1910 for $135 a month. The Blues converted the left-handed Casey from a pitcher into an outfielder, but not without difficulty. The future manager didn’t always take to coaching. What if Casey had washed out as a baseball player? Not surprisingly, Stengel had a back-up plan. He attended dental school in the offseason. Always a clown, Casey liked to stick cigars into the mouths of cadavers. When contract talks didn’t go well in the early part of his career, Stengel talked up his fondness for dentistry. Yep. Stengel didn’t bat like the typical dead-ball hitter, though. He gripped the bat down at the knob and swung hard. He hit with some pop, but pitchers sometimes fooled him with off-speed stuff and spitballs. The outfielder struck out quite a bit, in part due to his mighty cut. Casey finished in the top 10 in home runs four times as a player. Stengel spent 14 seasons in the big leagues, 1912-25. He broke in with the Dodgers, and later played for the Pirates, Phillies, Giants and Braves. He belted 60 career home runs and hit .284. Some of his numbers might look a bit dowdy, but we need to put them into context. Players just didn’t hit a lot of home runs during that era. Casey finished in the top 10 in home runs and slugging percentage four times each. He led the National League in on-base percentage in 1914 while a Dodger. Unfortunately, maybe inevitably, Casey gained a rep for not always being serious about his day job. Casey did some goofy stuff. He liked to walk out for batting practice with his uniform on backward. One of his favorite pranks was the hidden bird trick. Casey would tuck a sparrow underneath his cap. At just the right moment—like after he had caught a fly ball and all the fans were looking at him—he’d tip his cap and the bird would fly away. The crowd loved it. 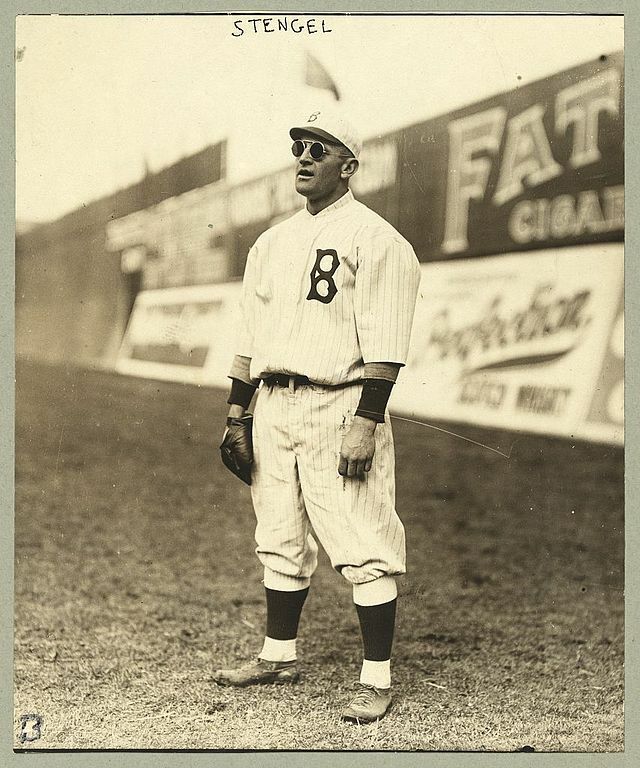 Stengel retired as a player after going 1 for 13 (.077) to start the 1925 season with the Braves. He needed to find another line of work.